Gather all your fresh veggies. Spinach, zucchini, and tomatoes. 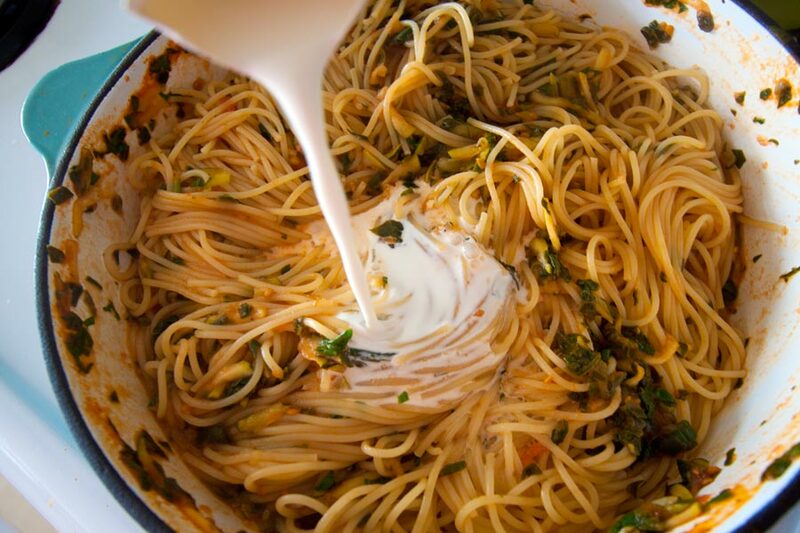 You’ll need 3 cloves of garlic, a handful of basil, and a parmesan cheese. I use spaghettini as opposed to spaghetti because I find the noodles less gummy. You’ll need a little olive oil, and some cream (optional). That’s it. Get your pot of water on the stove and remember to salt the water generously. 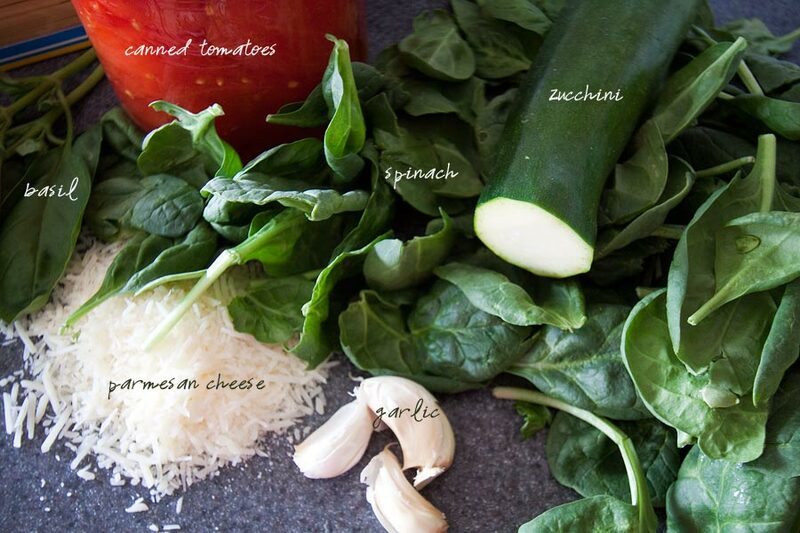 While the water heats up, puree your tomatoes in the blender, finely chop your spinach, and grate your zucchini. Pour 2 TBSP of olive oil into your saucepan on medium heat. Crush your garlic into the oil. Let it heat up and start to bubble, about one minute. Pour in your pureed tomatoes. Mix. Add your grated veggies. Mix. Now let the veggies simmer and reduce at medium heat. Pour your pasta into the boiling water and cook for time directed on the package. 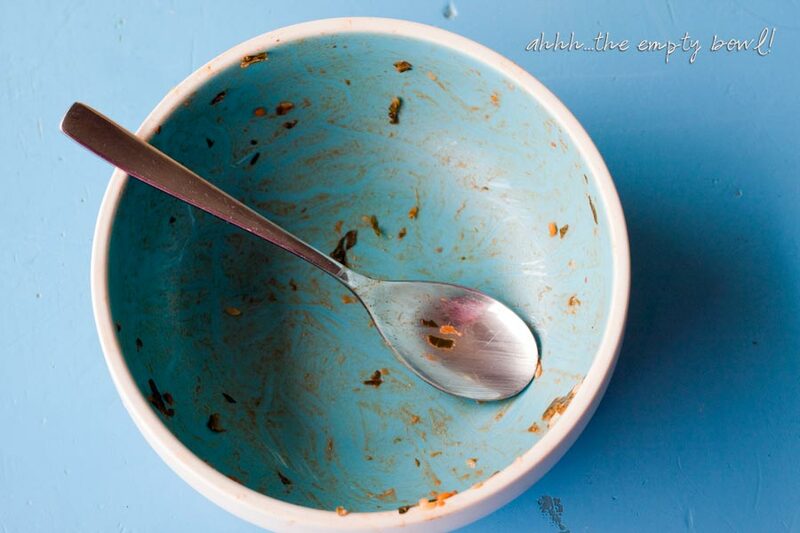 By the time your noodles are cooked and drained, your sauce will be ready. 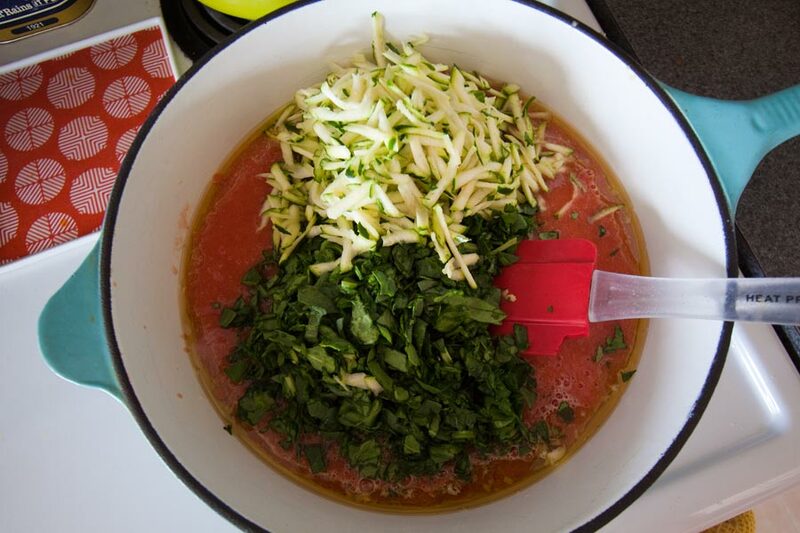 Fold your noodles into the sauce along with a handful of freshly chopped basil. 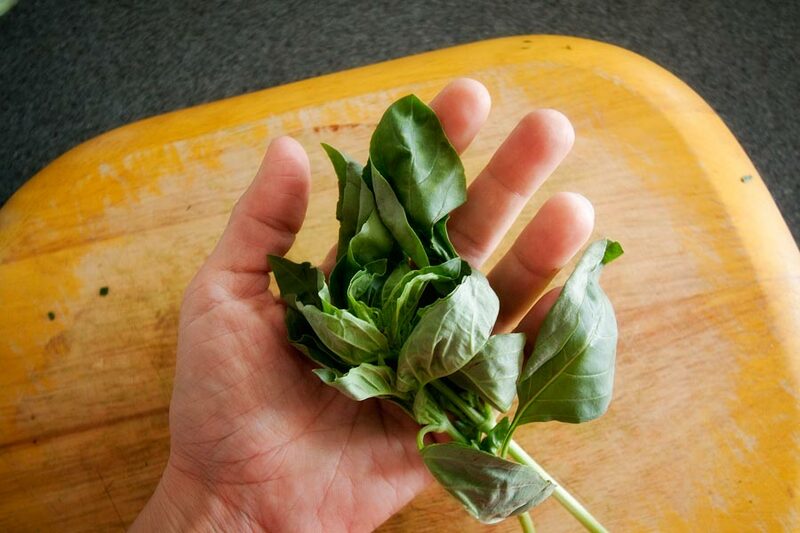 If you don’t have fresh basil, leave it out or use 1 tsp of dried basil. Now here is the optional part. 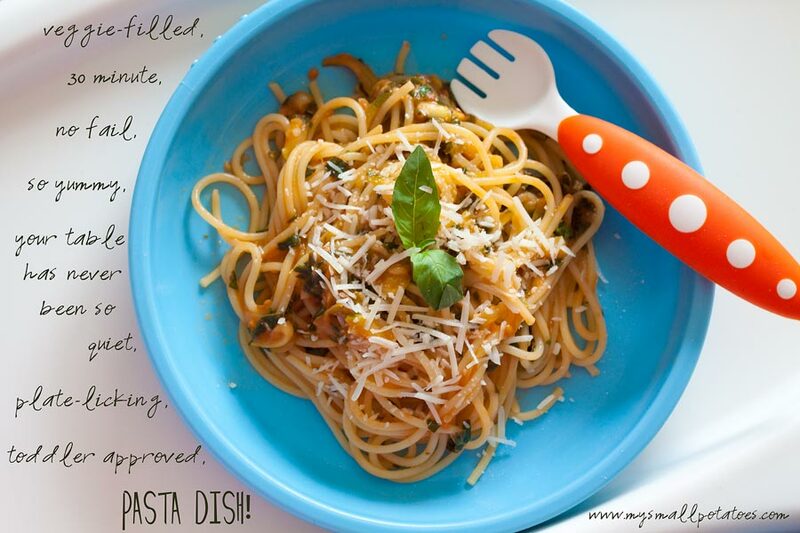 I add 1/2 cup of heavy cream to the pasta because I have a bunch of little toddlers who can handle the calories. You can leave it out if you like. Stir it up and put the lid on. Let it cook for 2 minutes with the lid on and at medium to low heat. Open it up, salt it to taste, sprinkle on some grated parmesan cheese and serve! Yes, I garnish the dish with a little basil leaf. Even for the babies. I think their food should look pretty too! You will have them asking for more, I promise. 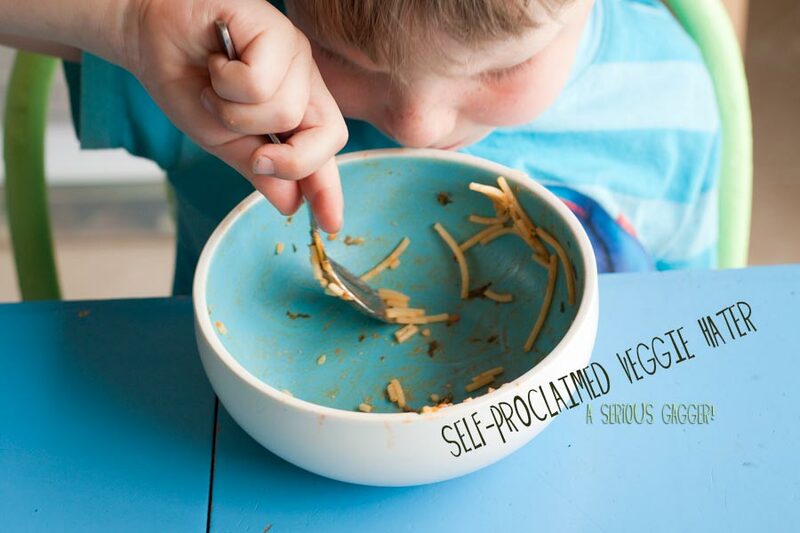 For an extra treat today, I have rounded up some great recipes from other fabulous kid-bloggers I have come to know. If you have a minute, browse through and see what you can find. 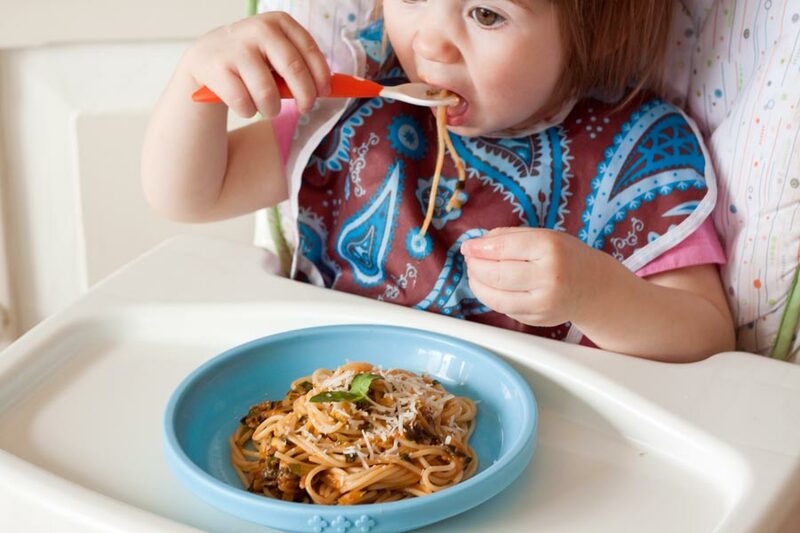 There is bound to be something here that your fussy eater would appreciate! Just click on the photo and it will take you right there! And then 2 more here that don’t have a photo, but check them out as well! For an adventure in Turkish Red Lentil Soup, go to Smiling Like Sunshine for her recipe. 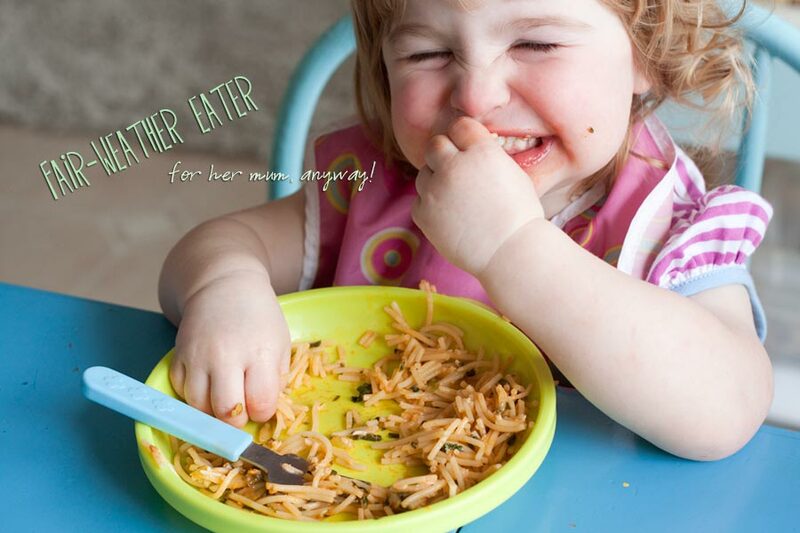 And for a great pizza recipe for kids, go on over to The Good Life Bloggers! Now that ought to keep you busy for a while! 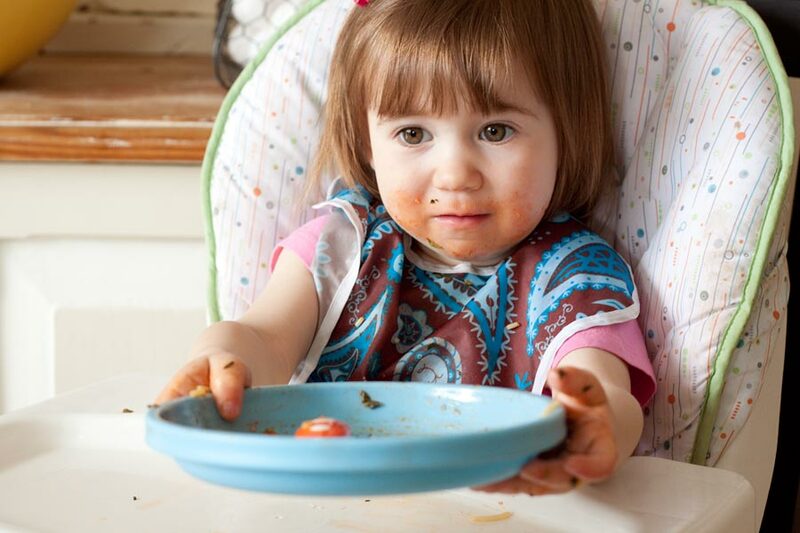 Check back in tomorrow for some fun activities to get your fussy eater excited about food. Looks yummy! This is a recipe that I know my family will love..thanks! Oh, and thanks for including me in your round up too! 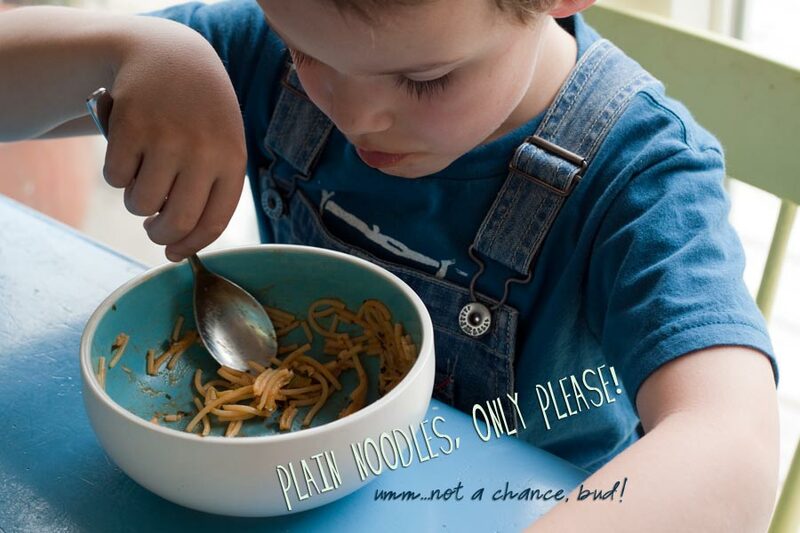 What a great post…with picky twins i need all the help and ideas i can get!! Love that first pic of your cherub BTW! I’m definitely going to try this. Especially in the summer when we have an overabundance of squash and zucchini from the garden! Thanks for linking up at From the Mouths of Moms. Thank you, Deborah! and thanks for sharing with me! You are brilliant! Wow. Just love your philosophy with the kiddos. I’ve started collecting recipes for little ones as I’m looking forward to being in the same country with my 1-year-old and 2-year-old grandkids finally later this year. This is perfect. Thanks for sharing.